A letter from U.S. senators suggests the lawmakers “not only do not understand international law, but are not fully cognizant of the nuances of their own Constitution,” says Iranian Foreign Minister Mohammad Javad Zarif. Republican senators’ letter to Iran about ongoing nuclear talks has prompted a lengthy response from Iranian Foreign Minister Mohammad Javad Zarif, who delivered an overview of international law as he critiqued the letter. 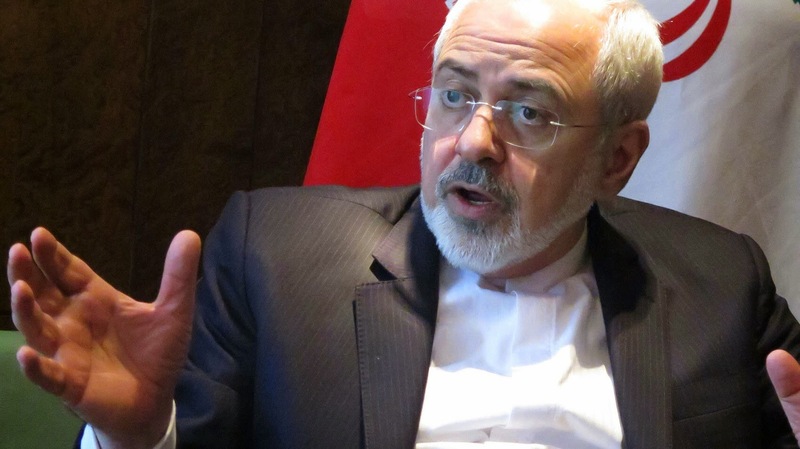 Zarif said he was astonished by the letter, saying it suggests the U.S. lawmakers “not only do not understand international law” — a subject in which he is a professor — “but are not fully cognizant of the nuances of their own Constitution when it comes to presidential powers in the conduct of foreign policy,” according to Iran’s Foreign Ministry. His response (we have more of it below) came after it was announced Monday that 47 Senate Republicans who oppose a potential deal with Iran over its nuclear program had signed a letter to the country’s leaders. Seven Republicans did not sign the letter, as NPR’s Ailsa Chang reported today on Morning Edition. President Obama said, “I think it’s somewhat ironic to see some members of Congress wanting to make common cause with the hard-liners in Iran” who are also against making a deal over Iran’s nuclear program. Zarif also noted that many previous international agreements the U.S. has been a party to have been “mere executive agreements,” and not full treaties that received Senate ratification. He said any deal on sanctions and Iran’s nuclear program would not be bilateral; would require approval by the U.N. and the U.N. Security Council; and would not be subject to modification by Congress. On April 4, 1967, Martin Luther King delivered a speech at Riverside Church in New York City titled “Beyond Vietnam: A Time to Break Silence.” In it, he went after the war of that moment and the money that the U.S. was pouring into it as symptoms of a societal disaster. President Lyndon Johnson’s poverty program was being “broken and eviscerated,” King said from the pulpit of that church, “as if it were some idle political plaything on a society gone mad on war… We were taking the black young men who had been crippled by our society and sending them eight thousand miles away to guarantee liberties in Southeast Asia which they had not found in southwest Georgia and East Harlem. I could not be silent in the face of such cruel manipulation of the poor.” Twice more in that ringing speech he spoke of “the madness of Vietnam” and called for it to cease. Today, almost 25 years into what someday might simply be called America’s Iraq War (whose third iteration we’ve recently entered), you can feel that a similar “madness” has Washington by the throat. Just as King noted of the Vietnam era, since 9/11 American domestic programs and agencies have been starved while money poured into the coffers of the Pentagon and an increasingly bloated national security state. The results have been obvious. In the face of the spreading Ebola virus in West Africa, for instance, the president can no longer turn to civilian agencies or organizations for help, but has to call on the U.S. military in an “Ebola surge” — even our language has been militarized — although its forces are not known for their skills, successes, or spendthrift ways when it comes to civilian “humanitarian” or nation-building operations. We’ve already entered the period when strategy, such as it is, falls away, and our leaders feel strangely helpless before the drip, drip, drip of failure and the unbearable urge for further escalation. At this point, in fact, the hysteria in Washington over the Islamic State seems a pitch or two higher than anything experienced in the Vietnam years. A fiercely sectarian force in the Middle East has captured the moment and riveted attention, even though its limits in a region full of potential enemies seem obvious and its “existential threat” to the U.S. consists of the possibility that some stray American jihadi might indeed try to harm a few of us. Call it emotional escalation in a Washington that seems remarkably unhinged. It took Osama bin Laden $400,000 to $500,000, 19 hijackers, and much planning to produce the fallen towers of 9/11 and the ensuing hysteria in this country that launched the disastrous, never-ending Global War on Terror. It took the leaders of the Islamic State maybe a few hundred bucks and two grim videos, featuring three men on a featureless plain in Syria, to create utter, blind hysteria here. Think of this as confirmation of Karl Marx’s famous comment that the first time is tragedy, but the second is farce. One clear sign of the farcical nature of our moment is the inability to use almost any common word or phrase in an uncontested way if you put “Iraq” or “Islamic State” or “Syria” in the same sentence. Remember when the worst Washington could come up with in contested words was the meaning of “is” in Bill Clinton’s infamous statement about his relationship with a White House intern? Linguistically speaking, those were the glory days, the utopian days of official Washington. I couldn't do any of that. 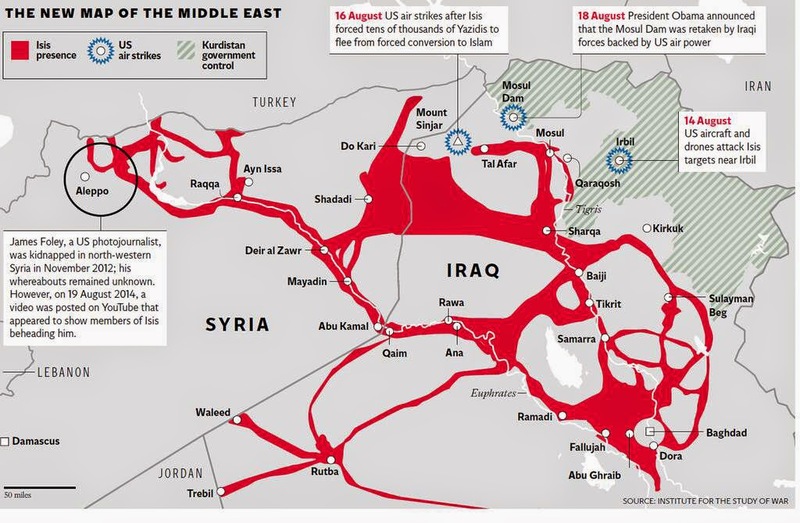 As someone who cares deeply about this country, I find it beyond belief that Washington has again plunged into the swamp of the Sunni-Shia mess in Iraq. A young soldier now deployed as one of the 1,600 non-boots-on-the-ground there might have been eight years old when the 2003 invasion took place. He probably had to ask his dad about it. After all, less than three years ago, when dad finally came home with his head “held high,” President Obama assuredAmericans that “we’re leaving behind a sovereign, stable and self-reliant Iraq.” So what happened in the blink of an eye? I was charged with meeting the Sahwa leaders in my area. My job back then was to try to persuade them to stay on board just a little longer, even as they came to realize that they'd been had. Maliki’s Shia government in Baghdad, which was already ignoring American entreaties to be inclusive, was hell-bent on ensuring that there would be no Sunni “sons” in its Iraq. 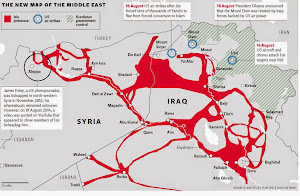 False alliances and double-crosses were not unfamiliar to the Sunni warlords I engaged with. Often, our talk — over endless tiny glasses of sweet, sweet tea stirred with white-hot metal spoons — shifted from the Shia and the Americans to their great-grandfathers' struggle against the British. Revenge unfolds over generations, they assured me, and memories are long in the Middle East, they warned. Washington, D.C., September 5, 2014 — A new book on the Iran-Contra affair shows that President Ronald Reagan stood at the epicenter of the scandal both in terms of his willingness to break the law in order to free American hostages in Lebanon and his failure to take account of the costs and consequences of his decisions, including the illicit conduct of numerous aides. “Iran-Contra” details the historical, political, and institutional background against which the affair played out. Utilizing tens of thousands of pages of previously classified materials, the narrative describes in detail all the administration’s decisions and actions, and discusses the rationales invoked at the time as well as after the fact (explanations that sometimes differed widely). 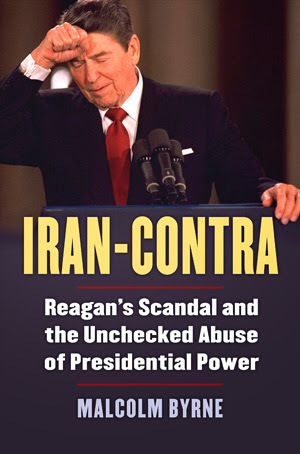 “Iran-Contra” is the first full-length account of the affair to study and assess the various official investigations that were convened — the Tower Commission, the joint congressional hearings, and the independent counsel’s inquiry. The limitations of each helped lead to an inconclusive end to the affair, which has had implications for the unchecked conduct of future presidents and their administrations. While the scandal had many contributors — including Congress, which failed to avert either element of the affair or to pass meaningful legislation in its wake — the role of the president and his top aides stands out. Today’s posting includes a revealing series of recently declassified high-level records that explore the president’s thinking and actions during the affair. The Ghadir (Mighty), with a range of 300 kilometres (185 miles), is a ground-to-sea and sea-to-sea missile, the official IRNA news agency said. 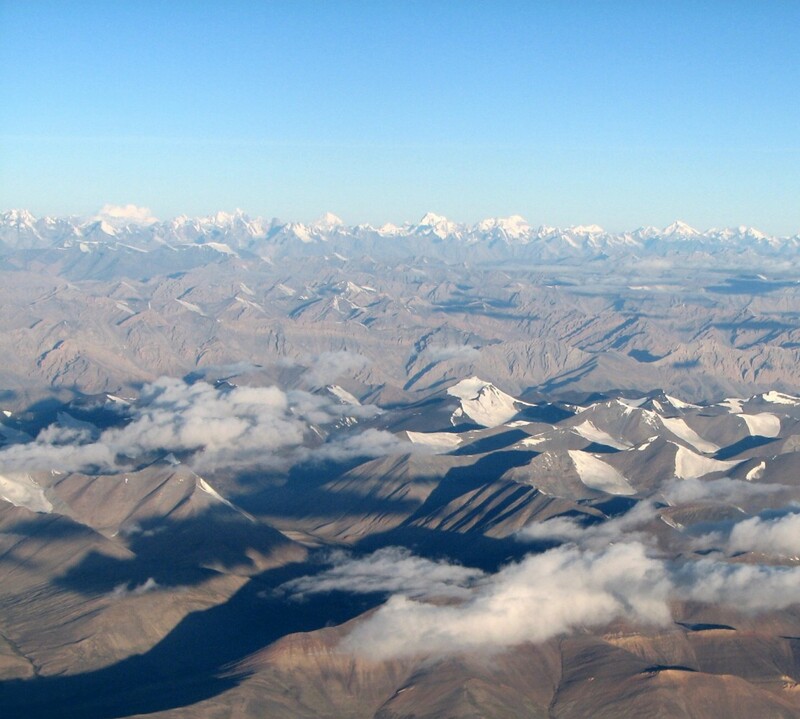 It is in the same family as the Ghader or Qader cruise missile, which has a range of 200 kilometres. The new Karar-4 (Striker) drone can track and monitor enemy aircraft, the agency said, while the Mohajer-4 (Migrant) drone is designed to perform photographic and mapping missions. Iran has developed a major missile programme in addition to producing different types of Unmanned Aerial Vehicles (UAVs), including attack drones. The United States, whose Fifth Fleet is based in Sunni-ruled Bahrain across the Gulf from the mainly Shiite Islamic republic, has repeatedly expressed concern about these two programmes. Rouhani on Sunday sought to allay such fears. “Iran has no intention to interfere in, dominate or attack other countries or plunder their resources,” he said in a speech broadcast on state television, adding that the country’s military doctrine was defensive. “But at the same time we will stand up to any aggression,” he added. 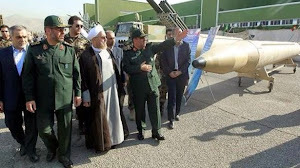 In May, Iran said it had succeeded in copying an American RQ-170 Sentinel drone that it forced down and recovered nearly intact in December 2011. Tehran is currently engaged in negotiations with the five permanent members of the UN Security Council plus Germany — known as P5+1 — on securing an agreement with world powers on its controversial nuclear programme.